I had to drive home in the rain a few nights ago. I can’t tell you how stressful it was for me. Everything was just a bit out of focus, lights were glaring, and the lines on the road were hard to see. It got me wondering why night vision is such a problem for me and for so many other people who otherwise see just fine. You see, I started researching a supplement called lutein — a plant carotenoid — that gives some plants their pretty color. It’s been shown in study after study to help stave off age-related macular degeneration (basically a fancy way of saying that you have more problems with your vision as your get older… like when you’re driving at night). You see, the reason lutein is so important for vision is because it’s actually stored in our eyes. And, how much lutein you have in your eyes effects how well you can see, how well you see differences in contrasts and how well you deal with glare. Scientists at the University of Illinois at Urbana-Champaign set out to determine if there was a link between a person’s levels of lutein and their cognitive abilities. The researchers measured lutein in the study participants’ eyes by having them look into a scope and respond to a flickering light. Then, using electrodes on their scalp, the researchers measured neural activity in the brain while the participants performed a task that tested attention. 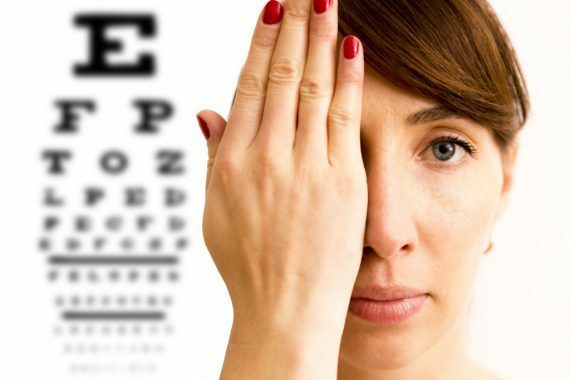 The results will give you one more reason to add lutein to your daily regimen. They found that the neuro-electrical signature of older participants with higher levels of lutein looked much more like their younger counterparts than those with less lutein. In other words, higher lutein levels aren’t just protective of your vision — they’re also important for brain function. Are you wondering how much lutein you need and where you can find it? Studies show you should be getting at least 10 mg of lutein each and every day. Since lutein is found in egg yolks, many fruits and vegetables (especially dark, leafy green ones such as spinach and kale), you could get it from food alone. However, the average diet is sorely lacking in lutein, so adding a lutein supplement can be a good idea. Do something healthy for your eyes and your brain; add lutein to your daily regimen to see and think more clearly.